The relationship between school and home is often an awkward one. Parents are misjudged, teachers are misunderstood, and expectations at both ends are different. Throw in the challenges of special education, add a dose of miscommunication, and you have a recipe for a challenging school year! What can be done to prevent this and create a successful, working partnership between home and school? This paper explores five published articles that address different aspects of the parent perspective and involvement with hopes of shedding light on this essential piece to building a successful, collaborative relationship between home and school. Educators, and all school personnel, who are involved in a child’s education, have a common goal; which is to improve the academic and behavior performance of all students. There are plenty of new strategies, and approaches that teachers can use daily to help students who struggle with behavior and academics. Many of these approaches include positive behavior interventions to improve students’ study skills (McKevitt & Braaksma, 2008). Study skills are an important factor in students’ success, especially as these students’ progress from middle school to high school. Augmentative and Alternative Communication methods are very effective when working with non-verbal ASD children. According to American Speech Language Hearing Association, “Augmentative and Alternative Communication methods (AAC) includes all forms of communication (other than oral speech) that are used to express thoughts, needs, wants, and ideas. We all use AAC when we make facial expressions or gestures, use symbols or pictures, or write” (American Speech Language Hearing Association, 2017). “There is evidence that children diagnosed with Autism Spectrum Disorder often have restricted verbal communication” (Bedwani,2015). Therefore, communication methods are imperative for non-verbal students. When researching the effectiveness of one of the AAC Programs (LAMP), eight children that were limited with communication skills previously showed gains after using the Program LAMP for a total of five weeks. Secondly, non-verbal students have difficulty expressing their needs and wants on a daily basis with their natural voice. “Children require the use of augmentative and alternative communication to help them communicate” (King, 2012). However, there is a problem, since using AAC as far as a form of communication, is especially difficult. “One way that has seemed to help is by providing peers with knowledge and skills on how to interact with children who use AAC, and has produced positive results” (King,2012). Parent Satisfaction with the current education system and programs for children with Autism Spectrum Disorder varies. Most of the literature suggests that parent satisfaction is mostly high. But a careful review of the literature also implicates that changes can be made in the areas of teacher training, parent communications to increase parent involvement and increased funding for families with unmet needs in an effort to further improve parent satisfaction. There are issues with the readability of parental safeguards and a lack of general knowledge about ASD. There is yet another concern for parents who view caring for their disabled child as a major burden, and the lack of support services as a child ages out of the system. All is not lost, however. Researchers have found possible solutions as the following review of the literature confirms. Reading various works of literature surrounding culturally and linguistically diverse students, I felt there was a need to identify how educators could grow within a multicultural curriculum. Reviewing how students are placed in special education or early intervention services either at a delayed point in time or not at all due to certain factors takes away opportunities for students. These barriers need to be addressed in the education and political system. We have a new website! Redesigned, refreshed, reorganized, and full of new resources, the Parent Center Hub 2.0 is meant for you. Visit, explore, find great resources to use in supporting families and youth and in your systems advocacy efforts. CPIR is pleased to launch three new products along with the new look and action of the Hub. Curriculum and Planning - Collaborate with colleagues in developing purposeful, rigorous, and engaging daily and long-term plans aligned to standards and in regularly revising these materials. Create, administer, and analyze meaningful and frequent assessments from which re-teaching is planned. In the Classroom, maintain a productive, safe, and disciplined learning environment in which teaching points, process charts, and student work are clearly displayed. Uphold all school policies within the classroom. Infuse VOICE values, rigor, and joy in lessons. Integrate feedback and goal-setting into lesson delivery. Provide the differentiation and accommodations needed for the growth and success of all students. Model strong written and verbal skills. Go above and beyond to ensure that all students are meeting appropriate standards. Review and comply with the guidelines of students' IEPs, follow IDEA reporting requirements, and provide information about student performance and services received. Communication and Collaboration - Fully embrace VOICE's mission and values and promote them to students, parents, and colleagues. Collaborate as part of an interdisciplinary team coordinating all instructional activities with grade-level teachers, coaches, and other teachers. Proactively seek assistance or advice when faced with challenging teaching situations. Maintain positive relationships with and support the learning of all staff members. Appropriately give and receive feedback to/from students, parents, faculty, staff, and administration. Keep parents well-informed of student performance and progress. Professionalism and Work Day Expectations - Fully participate in all school and grade-level meetings, designated school functions outside of school hours, and opportunities for individual and school-wide professional development. Deep belief in VOICE's mission, vision, and values. Unwavering commitment to the high academic achievement of all students. Flexibility, exemplary written and verbal communication, and outstanding critical thinking skills. Willingness to give and receive feedback to facilitate the growth of both students and faculty. Unwavering humility, perseverance, and kindness. Flexibility and willingness to serve students with and without IEPS in a variety of settings, including as a classroom teacher, as a co-teacher in an ICT class, and/or in small group settings. Compensation is competitive and based on experience. We offer a comprehensive benefits package, including participation in the TransitChek program and partial reimbursement for monthly commuting expenses, gym reimbursement, cultural enrichment reimbursements, participation in the Teachers Retirement System pension program, frequent access to baked goods, and many opportunities to get to know your VOICE colleagues! At Bright Star Schools, students achieve academic excellence, accept responsibility for their futures, and embrace school as family. We offer students the opportunity to develop their unique talents and ambitions in a supportive, collaborative environment, so they are prepared for college and career, and to lead purposeful, fulfilling lives. All seven of our Bright Star Schools serve students in urban Los Angeles areas. Across all Bright Star schools, over 85% of our students are enrolled in the National School Lunch Program, the educational benchmark for poverty. Our goal is to empower students to break free from the cycle of educational and economic poverty. We prepare our scholars to be lifelong learners and leaders to discover ways to create positive change for themselves, their families and their communities. All of our students participate in a program that features rigorous academics and rich life experiences. Our students thrive academically and socially because our core operating principles, which include high expectations, attention to detail, clearly defined standards of accountability, and continuous improvement, provide a framework for success. Bright Star Schools will comply with the California Charter Schools Act with respect to teacher certification. All certified teachers teaching core subjects, and uncertified teachers teaching non-core subjects, will comply with subject matter competency and all other requirements of the No Child Left Behind Act. Teachers will help develop and implement the curriculum. All teachers report to the Principal. Bright Star Schools is an equal opportunity employer. Salary: BSS salary is based on experience and education. See here for the scale. Start Date: An exceptional candidate will assume a full time role no later than July 2017. STRS retirement matching, life insurance, short-term disability, optional 403b plan, sick and vacation paid time off, and holidays. Stafford County Public Schools is actively seeking qualified applicants for Special Education Teachers in All Areas. Please visit our website to learn more about our opportunities and benefits. Stafford County Public Schools (SCPS), a growing and vibrant school system of nearly 28,000 students and 31 schools. Located midway between Richmond, Va., and Washington, D.C., the school system welcomes students and families from 103 countries of birth who speak 47 native languages. SCPS’ singular focus is to inspire and empower students, no matter what their background, to reach the same destination: success in further education, work and citizenship. Hold or be eligible for a valid teaching license which meets Commonwealth of Virginia requirements with specific endorsement in the area to which assigned. Please visit our website at www.staffordschools.net to learn more about our school division and to submit our on line application. The Inclusive Education Instructional Coordinator will work closely with the Director(s) of Inclusive Education, Lead Inclusion Specialist Teachers (ISTs), School Psychologists, and school site administrators to plan and execute a comprehensive improvement plan to increase student achievement for our students with special needs. The Instructional Coordinator is also responsible for supervising the development/ implementation of IEPs and service delivery model within the Koreatown cluster (RKMS and RKHS). The Instructional Coordinator must take a hands-on approach to improving instruction through working with groups and individual educators (General Educators and Special Educators) from the system-wide level to the classroom level in order to directly improve differentiated instruction and increase student learning. This may include observing lessons, providing specific feedback, sharing research-based strategies and resources, modeling lessons in classrooms, helping teachers: plan instruction, creating system-wide policies and procedures, and facilitating professional development. Sick & vacation paid time off, and holidays. Contact:Please email Talent Manager, Leslie Nguyen, with any questions.EMAIL - LNguyen@brightstarschools.org. 1. Bachelor's degree or post-graduate work in early childhood education. Master's degree preferred. 2. Valid Washington State teaching certificate with a special education endorsement. Early childhood special education endorsement preferred. 3. Demonstrated understanding of research-based instructional strategies and assessment practices that support effective instruction. 4. Recent successful experience working with educators in demonstrating and modeling effective instructional strategies and assessment practices. 5. Demonstrated knowledge of needs of diverse learners and strategies for addressing these needs. 6. Understanding of appropriate local and state standards. 7. Maintain integrity of confidential information relating to students, staff and district patrons. 8. Evidence/demonstration of use of technology to enhance student learning or willingness to learn. 9. Demonstrated organizational skills and commitment to follow through on tasks. 10. Demonstrated ability to establish and maintain excellent working relationships with students, teachers, school administrators, support personnel, and community members. 11. Demonstrated ability to effectively communicate orally and in writing. 1. Lead teacher for special education preschool classroom serving three an four year old children with a range of communication, social-emotional, and physical developmental delays, including those with autism spectrum disorder. 2. Plan, develop and implement individualized educational plans for students with developmental learning needs, using early childhood standards and adopted early learning curriculum, preschool math and literacy priority standards and specially designed instruction. 3. 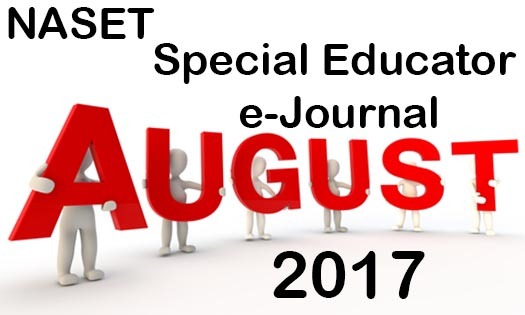 Meet district, state, federal timelines and legal requirements related to assessment, IEP design, and Child Outcomes Summary Reporting. 4. Create and modify structure of classroom to meet the needs of the current students. 5. Guide instructional content and monitor individual student progress as member of building data team. 6. Create instructional materials (with modifications to meet individual needs). 7. Create visual systems for classroom (schedules, PECS, social stories). 8. Team with SLP and OT, and extended day autism team to provide services to students with social communication disabilities. 9. Extend professional learning about trends and practices through training with district autism support assessment and planning tool (SCERTS). communication, physical, and social interventions,including toileting and feeding programs. 2. Provide training and supervision to Para educators in the delivery classroom behavior management systems including 1,2,3, Magic. 3. Actively participate in building Professional Learning Community (PLC) Data Team, presenting individual and classroom data for monitoring and adjusting instructional interventions. 4. Participate in weekly building curriculum planning meetings. 1. Provide support and information to parents through initial and conference home visiting, at least three times each year. 2. Support school-home communication through newsletters and phone calls. 3. Plan and participate in four (2-4) parent education nights and family events, as determined by annual building plan. 4. Assist with the design and modification of instructional and behavioral support materials to be used at home. 5. Attend and participate in district-wide kindergarten transition event to support students and families. 1. Collaborate with building Head Start/ECEAP teachers in the design of learning opportunities for students to interact with typically developing peers. 2. Serve 2-3 typically developing students in each session to provide peer modeling for students with special education needs. 3. Prepare and deliver kindergarten transition reports to receive elementary buildings in spring of each school year. 1. May be required to travel between buildings and occasionally attend workshops and conferences with the region or state. 2. Required to work flexible hours and schedule which may include some evenings. Expected to prepare classroom for the start of school and prepare workspace or room for summer cleaning after the last day of school. 3. Classroom/office environment which includes frequently walking, occasional lifting, and bending, stooping, kneeling and keyboarding. Salary: Based on the 2016-17 state salary schedule. Additional compensation based on Longview Education Association Agreement with the Longview School District. Benefits: Medical, dental, vision and other board approved benefits. Current LEA, please submit updated resume, cover letter and 3 confidential professional references. Scanned copies of University or college transcripts. Original transcripts will be required if hired. Applications will be accepted until filled by a qualified applicant. The Longview School District is a Drug & Tobacco Free workplace. Immigration Reform and Control Act Requirement: New employees will be required to complete an INS 1-9 form and must provide proof of employment eligibility. Disclosure Statement and Background Check: Pursuant to RCW 43.43.830 through RCW 43.43.840, new employees will be required to complete a disclosure form indicating any convictions of crimes against persons as listed in the law. In addition, a background check based on fingerprints will be requested from the Washington State Patrol and the Federal Bureau of Investigation. Job Sharing: Pursuant to RCW 28A.405.070, the district will accept applications from individuals wishing to share a position. The New York City Department of Education is looking for bright, motivated, and dedicated teachers who are passionate about sparking opportunity for all students. With over 1,800 schools and 1.1 million students, New York City provides endless opportunities for you to hone your craft and build your career. Whether in Coney Island or the South Bronx, our team of exceptional educators is passionate about urban education and is fiercely committed to success for all students. Our schools range in size (from 200-4,000 students) and are as diverse as our students and the neighborhoods we serve, allowing you to choose a school community that fits your needs as an educator. And with more than 200 innovative partnerships with leading arts, science and cultural organizations around the city, you will never run out of ways to expand your curriculum and pique students’ interest. New York City public schools are committed to fostering curiosity and confidence in all students, and jumpstarting the next generation of innovators, leaders and citizens. Now is your chance to help us make that happen. New York City public schools offer competitive starting salaries ranging from $54,000 to $81,694, based on prior teaching experience as well as your undergraduate and graduate education. You may also become eligible for additional income through a wide array of incentives and school positions that will stretch and challenge you as an educator. You might earn additional grants by teaching in a select, high-need school as part of our Teachers of Tomorrow program, or by helping your colleagues develop in one of our many teacher leadership roles . Possess or be on track to earn a New York State Department of Education (NYSED) teaching certification by the start of the 2017-18 school year. If you are not already NYSED-certified, there are several ways to obtain certification . Learn more about our application requirements and deadlines and apply to teach in New York City today!